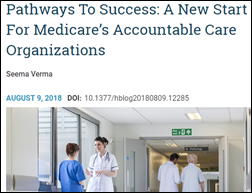 CMS Administrator Seema Verma summarizes the 600-page, just-published proposed rule that would overhaul the Medicare Shared Savings Program in a Health Affairs blog post. From Glandular Enlargement: “Re: MED3000. Heard that McKesson will stop supporting it at the end of the year.” Unverified. That revenue management product hasn’t received much attention since McKesson bought it in 2012. This weekend’s Monday Morning Update just won’t be the same unless you provide wisdom on what you wish you’d known before turning 40 (assuming you’re 40 or over, of course, otherwise feel free to read this weekend). Analytics and CRM company Trilliant Health raises $12 million in a Series A funding round. The company came together last year through the merger of Aegis Health, Clariture Health, and Expression Health Analytics. The unification coincided with the hiring of Hal Andrews (Shareable) as CEO. 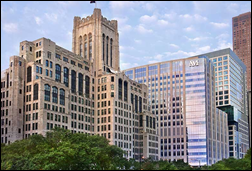 After hiring hundreds to implement its Epic system, which went live in March, Northwestern Medicine (IL) lays off 60 IT employees in an increasingly common thanks for a job well done. 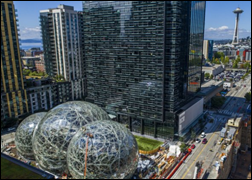 Insiders say that Amazon will open primary care clinics for employees at its Seattle headquarter with a pilot getting underway this year. Amazon’s primary care expertise includes Martin Levine from Iora Health, Christine Henningsgaard from One Medical, and Atul Gawande, MD, CEO of the company’s joint healthcare venture with Berkshire Hathaway and JPMorgan Chase. 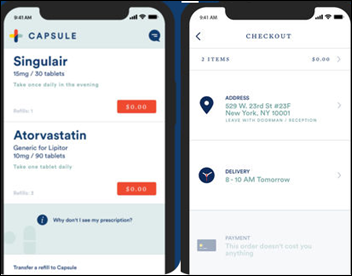 App-based New York City prescription delivery service Capsule raises $50 million. 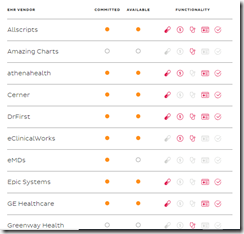 Dealreporter says that UnitedHealth Group Bain Capital, and TPG are among the second-round bidders in the running to acquire Athenahealth. 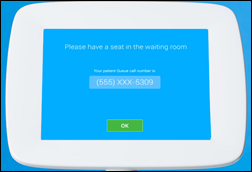 Health and wellness technology vendor Dynamic Healthcare Strategies acquires the Connect patient check-in and secure communications technology from CrossChx and renames it DHS SecurePass. CrossChx announced last week that it was renaming itself Olive following a $33 million funding round that will allow it to move into AI-powered healthcare automation. CHIME names Jennifer Ramstrom (Connection) VP of CHIME Technologies and the CHIME Foundation. Salesforce promotes Keith Block to co-CEO alongside co-founder and chairman Marc Benioff. Jennifer Musich-Rehmann (Cerner) joins Goliath Technologies as VP of corporate development. Recondo Technology promotes Heather Kawamoto to the new role of chief product officer. Justin Collier, MD (HCA) joins technology solution provider World Wide Technologies as US East CMIO. Just Associates names Robin Gates (NextGate Solutions) as VP of sales for the southern region. Torrance Memorial Integrated Physicians and Torrance Health IPA (CA) select population health management and risk adjustment software from Evolent Health. 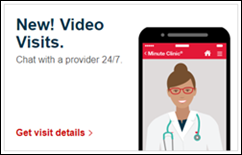 Teladoc beats out American Well and Doctor on Demand to supply virtual care consults for CVS Health’s new MinuteClinic-branded offering in the CVS Pharmacy app. Aetna, which CVS is in the process of acquiring for $69 billion, rolled out Teladoc-powered visits to its members several years ago. ActX announces GA of GenoAct, a genetics-based, clinical decision support service embedded within a provider’s EHR. Epic will hold its first Un-Users Group Meeting at its Verona campus on September 26, with an agenda aimed at non-Epic using provider leaders who want to exchange information with Epic customers. The $100 registration fee includes transportation to and from the hotel; a welcome reception; a crash course on data exchange (Carequality, Care Everywhere, HIE, and Direct) and Epic’s patient offerings (MyChart, Share Everywhere, Lucy, and Blue Button); lunch with Epic developers; interoperability success stories from Sutter Health and Children’s Health System of Texas; an overview of coordinated care; and an optional campus tour. 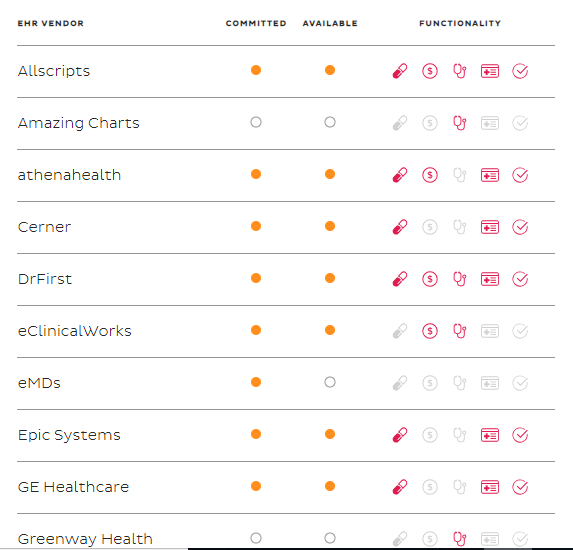 Boston Children’s Hospital will add Buoy Health’s smart symptom checker to its website. The hospital will work with the Boston-based startup on future AI product development. England’s Cambridge University Hospitals goes live on Epics’ EpicCare Link, which allows medical practices to view the hospital information of shared patients. 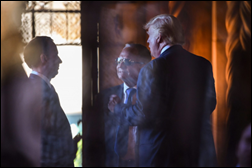 A ProPublica piece on President Trump’s unofficial VA advisors, known to Washington insiders as the “Mar-a-Lago Crowd,” paints a picture of behind-the-scenes maneuverings by a good-old-boys network intent on shaking up VA leadership with little government oversight or healthcare knowledge. The trio – Marvel Entertainment Chairman Ike Perlmutter, Bruce Moskowitz, MD, and lawyer Marc Sherman – seem intent on privatizing the VA, and may have had a hand in stalling the agency’s decision to move forward with the Cerner deal. Insiders are now waiting to see if newly appointed Secretary Robert Wilkie will seek the their approval or move forward with staffing and project decisions on his own terms. An HHS OIG report finds that Medicare Part D spending for compounded creams and ointments increased 24-fold from 2010 to 2016 and triggered a bunch of fraud cases. OIG recommends that CMS clarify its policies; that it remind companies providing the coverage that they can make it exception-driven; and that it recommend utilization management tools. 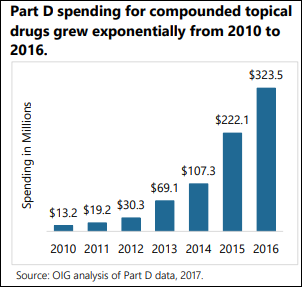 OIG also suggests that CMS investigate 550 pharmacies that drove most of the charges that also had questionable billing (a high percentage of patients receiving compounded products, repeated billings for the same items, a high per-prescription cost, high dispensing for a specific prescriber, and a big billing increase from 2015 to 2016). OIG also suggests reviewing 124 prescribers who ordered more than $250,000 each of compounded prescriptions from those questionable pharmacies, many of them crossing state lines that suggest no doctor-patient relationship existed. This is a brilliant use of claims data, although it’s always frustrating to realize just how CMS’s pay-and-chase policies allow robbing the system for years without much danger of serving time. The 10-Q quarterly report filing of Community Health Systems discloses that the for-profit hospital operator is the subject of unspecified investigations related to Meaningful Use payments and running servers that still use Windows 2003. 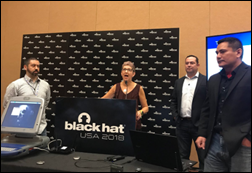 Open-source EHR and practice management software collective OpenEMR issues a software update after patching security vulnerabilities found by cybersecurity consulting firm Project Insecurity. 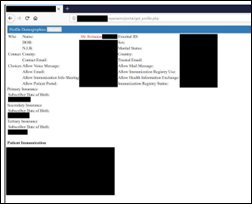 The vulnerabilities, found through a manual review of source code, could have given hackers the ability to access patient records and system data, upload files, and execute system commands. 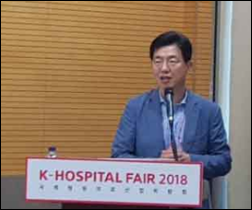 A hospital consortium in South Korea, led by Asan Medical Center, will invest $32 million to develop an AI-based, precision medicine support tool Korean physicians are likening to IBM’s Watson. Dubbed Dr. Answer, the software will diagnose and offer treatment options for eight conditions, including heart disease, breast cancer, dementia, and prostate cancer. Half did not fill their prescriptions at the pharmacy because of cost. 37 percent stopped taking a medication because it was too expensive. 75 percent have been prescribed medications that cost more than expected. 87 percent wish their provider knew medication costs at the point of care. CompuGroup Medical sponsors the Bowling for Barrow event in Scottsdale, AZ that raises funds for Barrow Neurological Institute’s Concussion and Brain Injury Center. CGM USA also earns BBB accreditation and an A+ for outstanding customer care. EClinicalWorks will exhibit at the CPCA 2018 Billing Managers Conference August 14-15 in Monterey, CA. Imat Solutions and Iatric Systems will exhibit at the SHIEC Annual Conference August 19-22 in Atlanta. InterSystems will exhibit at the Medical Enterprise Systems Conference August 13-16 in Portland. Intelligent Medical Objects will exhibit at Greenway’s Engage conference August 10-13 in National Harbor, MD. Loopback Analytics adds its Connector App to the Epic App Orchard. An Epic Un-Users Group meeting, I like it!